Laurel Bluff Cabins are located in the heart of the Blue Ridge Mountains of Southwestern Virginia. We have Three beautiful cabins to choose from. Come relax and enjoy! Laurel Bluff Cabins is the perfect spot to enjoy the many outdoor activities Virginia has to offer. Summer brings many festivals here in the mountains of virginia from the state BBQ championship in June in downtown Galax, to Floyd Fest in Floyd Va. Be sure to stay in May for HoustonFest in Felts Park, Galax, or June for Galax’s Leaf n String Festival. Long established late summer events include the Old Time Fiddlers Convention in August and Hillsville’s big flea market Labor Day Weekend! 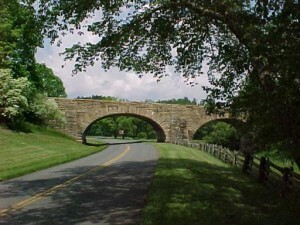 Visit www.virginia.org for all your vacation travel informations . * A short drive to Chateau Morrisette Winery, West Wind Farm Winery and Vineyards, and Shelton Winery and Vineyards. The New River Trail has hiking, bicycling horseback riding, or go tubing, canoeing, kayaking, on the river or just fish for awhile . There are several beautiful golf courses nearby. We are minutes from Mount Airy N.C. (Mayberry), Andy Griffith home town, while visiting Mount Airy enjoy Mayberry Days, The Autumn Leaves Festival, the Andy Griffith Playhouse, and several museums. In August, be sure check out The Old Time Fiddler’s Convention, Galax Va.
September the begining of fall and The Annual Gun Show and Flea Market Labor Day Weekend in Hillisville Va. From June through September, the Blue Ridge Music Center outdoor stage and amphitheater features traditional music concert series. The Historic Rex Theaterin downtown Galax has its bluegrass concerts live on WBRF radio 98.1 FM every Friday night year round. We are minutes from many Antique and gift shops, and fine dining. Laurel Bluff Cabins are located within two hours drive of three major nascar speedways , Bristol Virginia , Martinsville Va. and Charlotte N.C.